Here’s your latest roundup of the top job moves in the region. hedgehog lab, the Newcastle-headquartered digital product consultancy, has announced four senior hires across the business. The company created four new ‘heads of’ roles in its operations, engineering and finance departments. Claire Ingle joined hedgehog as its first-ever head of finance. She was previously at telecoms company Openreach, where she was senior finance manager and business partner for its chief engineer and civils teams. Scott Stewart is the firm’s new head of engineering. He has more than 17 years’ engineering experience from his background in the Royal Air Force. Elsewhere, hedgehog’s new head of product is Jennifer Ioannidou, who holds an MA in Arts, Business and Creativity from Newcastle University. 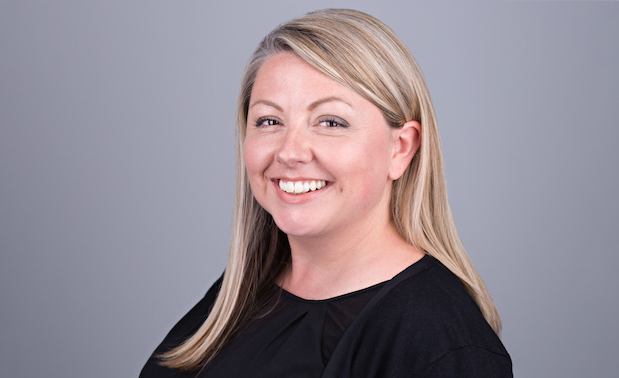 Prior to her appointment, Jennifer held project management roles at companies including Dubai-based Gameplan Solutions and canvas4careers in the US. The fourth newcomer, Zoe Wheeler, has taken on the role of head of people. She will be responsible for developing and promoting hedgehog lab’s employee engagement and staff wellbeing initiatives. Most recently, she was senior talent acquisition business partner with New Zealand firm Fletcher Building. hedgehog lab CEO Sarat Pediredla said: “2018 was a transformational year for the business as we brought onboard some massive clients and major contracts that powered our record-breaking 50% revenue growth. Manufacturer Komatsu has announced the appointment of a new managing director. Paul Blanchard (pictured left), who is currently the firm’s director of manufacturing, will move into his new role on April 1, when he will take over from outbound MD Peter Howe (right). To ensure a smooth transition, Peter will remain at Komatsu UK until the end of March 2020 in the role of executive chairman. 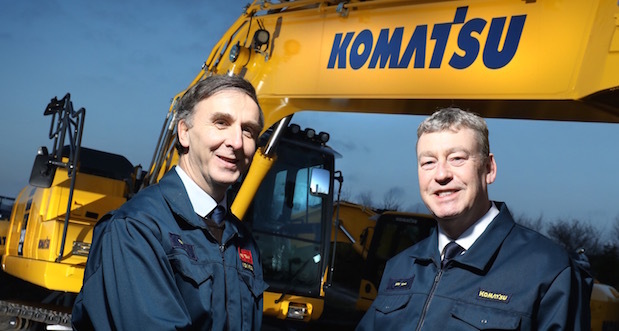 He said: “I am incredibly proud to have led Komatsu UK for the last 18 years, during which we have enjoyed significant growth across our product range, and have developed and manufactured some of the most innovative machines working across the construction industry. Paul has worked at Komatsu’s plant in Birtley for the last 29 years, having joined in 1989 as a graduate engineer. Commenting on his new role, Paul said: “It is a real honour to be appointed Managing Director for such an esteemed organisation. Planning firm DPP Planning has announced two senior appointments. The company has chosen Jo Robison (pictured) for the role of director and Amanda Brocklehurst as associate director. Jo has worked for DPP since 2016, when she joined the Newcastle office as an associate director. She has nearly 20 years’ experience in planning, with a particular knowledge of the residential sector. DPP CEO Gareth Hooper commented: “Jo’s appointment as a Director in the business reflects the really positive impact she has had on the company since she joined in 2016. Amanda, meanwhile, has been a planning consultant for the last 17 years, 13 of which were spent at Lichfields. She specialises in heritage projects. Faith Folley, director of DPP’s Newcastle office, commented: “These two appointments are entirely in line with DPP’s positive plan for the future and this growth and investment in the Newcastle office reflects our company-wide strategy. Commercial law firm Watson Burton has added a new solicitor to its corporate team. Sophie Robertson was offered the position after completing her training contract with the Newcastle-headquartered company. 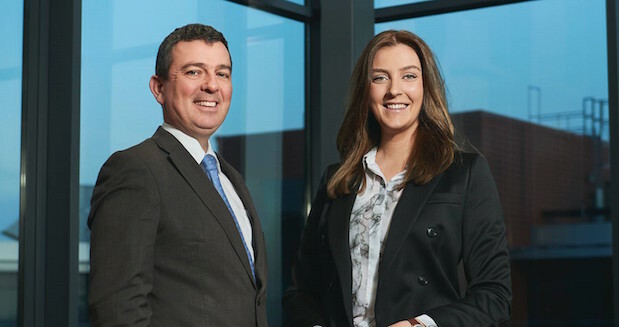 Watson Burton’s head of corporate, partner Duncan Reid (pictured above with Sophie), said: “We were impressed with the work ethic and enthusiasm that Sophie brought to the team. Sophie said of her appointment: “It’s fantastic to have been offered the position with the Corporate team as I thoroughly enjoyed my time with them and learnt a lot from the experience of the team members. North East software company Notify Technology has announced two key hires. The firm has taken on Tristan Meears-White in the role of subject matter expert. He has more than 20 years’ experience in health, safety and environmental regulation, during which he has acted in numerous fatal accident cases and high-profile H&S and environmental matters. 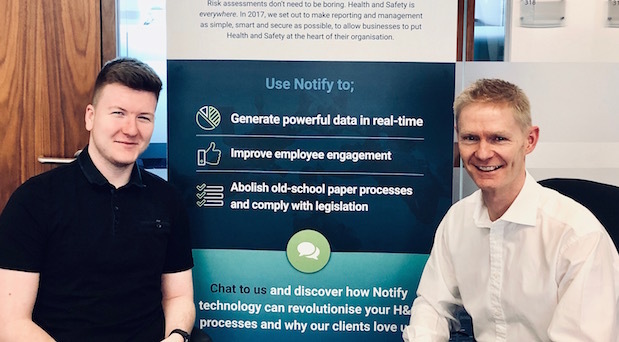 Notify has also appointed Paul Duff as its newest customer acquisition executive. He is tasked with helping the company secure new clients across its target sectors. The company is currently recruiting for a new service delivery manager. Gosforth-based housing, health and social care provider Home Group has appointed an executive director for operations and an IS director. Matt Forrest (pictured), previously the company’s executive director for business development, is moving into operations. He has worked in business development at Home Group for two years, having originally joined from tech giant Sage Group plc. Matt is also a qualified accountant, as his first career role was with KPMG. 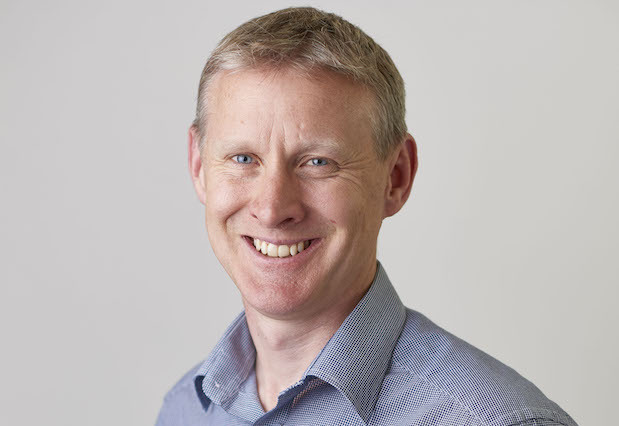 Simon Parker, meanwhile, has joined Home Group as director of IS. He was most recently a deputy director at DWP, where he was responsible for the delivery of all aspects of its child maintenance digital service. Simon brings with him more than 30 years’ experience in IT roles, predominantly at director level.